Parking: There is no parking lot by the Zamkowa St.
Driving from Dzierżoniów to Wałbrzych down the road no 383 you cross Pieszyce. By the church there is crossroads to Wałbrzych and Nowa Ruda. 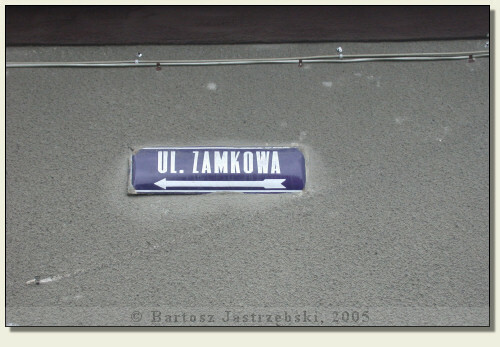 You should still follow the road towards Wałbrzych and beyond the tight turn, on the left side there is the Zamkowa St. The castle in Pieszyce was apparently located in Sowie Mountains, on the Grodzisko hill, which lies in the area of present wick of Pieszyce, Rościszów. The historians hold that the local defensive structure was erected in the second half of the XIIIth cent. and was a connecting construction between a defensive borough and a castle. It probably came into being on the initiative of duke Henryk IV Probus after 1263. There is no more known about the local building. Whereas to the east of the old part of Pieszyce there also exists an earth mound, which is probably a remnant of a brick manor, on which the references exist from 1336.